What do you get when you mix tight, raucous riffs, a profusion of pop hooks and uncontainable, frenetic live energy? 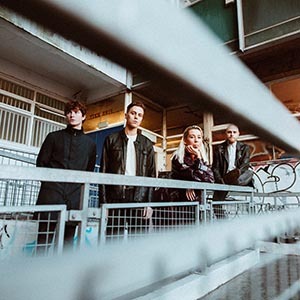 YONAKA: a four-piece band from Brighton who you can’t quite pin down, but you don’t have to. Because while there is no blueprint to their irresistible, foot-stomping sound, there are many ingredients, and the band weave them into their music like different coloured sequins, somehow making them feel completely fresh in the process. Music elicits physical and psychological reactions. Your body moves, and your mood changes in response to the ebb and flow of a song. It’s one of the few singular forces that can seamlessly speak to both our tangible and intangible nature. Canterbury, UK band Broken Hands stimulate both halves with a two-prong style fuelled by half-time gutter groove rock ‘n’ roll and ethereal flights of cerebral sonic exploration. This duality initially powered the group’s 2015 full-length debut, Turbulence. Produced by Tom Dalgety , it walked a fine line between arena ambition and alternative adventurousness. 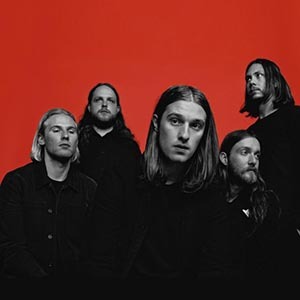 Moreover, the record announced the boys – brothers Dale and Callum Norton , Jamie Darby , Thomas Ford , and David Hardstone – as a critical favourite with acclaim from NME, The Independent, BBC Music Introducing, and more. Simultaneously, they developed a reputation for raucous live shows, performing alongside the likes of The Kills, Catfish and the Bottlemen, The Cult and Deaf Havana in addition to gracing the stage of the world-famous Reading & Leeds festivals. Along the way, they landed a deal with Atlantic Records stateside and plotted their sophomore effort. Just prior to entering the studio, the pace slowed when Dale endured the sort of nightmare most musicians don’t dare dream about: intensive ear surgery that left him unable to sing or play music for nearly two months. Embracing this fresh palette, the band opted to work with producer Julian Emery on new music with long-term collaborator Dalgety moving to the mixer’s chair. Nodding to American influences as diverse as Nine Inch Nails, Big Brother and The Holding Company, and My Morning Jacket, Broken Hands adopted a “half-time” rhythm. As a result, the guitars, drums, bass, and vocals hit harder as they seesaw back and forth. Exciting newcomer Cassyette is making glamorous synth-based pop music with a vintage twist. After graduating from university Cassyette became a staple on the London live circuit, DJ-ing in the capital and further afield in Spain and Ibiza. It should come to as no surprise that the singer/producer’s first offering ‘Push N Pull’ is a powerful club anthem, intelligently produced and notably engrossing, an earworm if ever there was one. 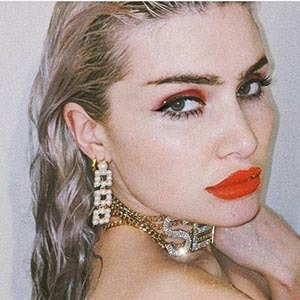 Her command of melody puts her up there with the pop icons Tamia and Ciara with a certain depth akin to Blood Orange or perhaps Sky Ferreira. Birmingham Promoters | Gigs & Events in Birmingham is proudly powered by WordPress.